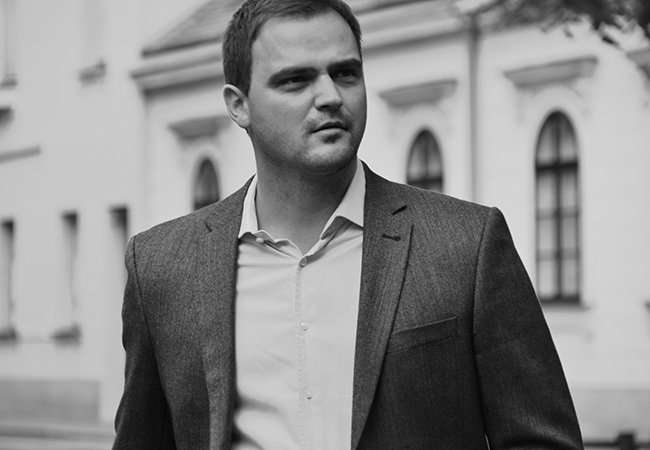 Kristian Novak (Baden-Baden, 1979) graduated in Croatian and German Studies at the Faculty of Philosophy in Zagreb in 2005 and earned his PhD from Postgraduate Linguistics Studies in 2011. He holds a lectureship with the Department of Croatian Studies at the Faculty of Philosophy in Rijeka and teaches at the Department of German Studies in Zagreb. Novak’s chief areas of research include historical sociolinguistics, multilingualism (Croatian–German language and culture contacts) and national identity. Kristian Novak was standard member of Croatian karate national team from 1996 to 2009, winning a range of individual and team awards at national and global karate championships. His highly acclaimed second novel Črna mati zemla (2013) was shortlisted for the Kiklop Award in 2013 and named the best fictional prose of the year by Jutarnji list. The novel won the 2014 T-portal Prize for best novel in 2013. His novel Gypsy, But the Most Beautiful (2016) was awarded with Fran Galović Award, Ksaver Šandor Gjalski Award and T-portal prize. What deserves praise is Novak’s virtuosity in language. (…) Entering the world of the stigmatised ones, the reader will be able to see all the pathology of small communities at play, which Novak depicts with meticulous precision. Another quality of the novel is the love story between the grown up Matija Dolenčec and Dina Gajski, which takes up the first third of the narrative. Suggestively written, with many strikingly precise observations and brilliantly paced, this (sad?!) love story serving as a trigger for the novel’s main plot is probably the best text dedicated to one of the major literary themes – the relationship between lovers – in regional prose over the recent years. The text prompts a multitude of issues, such as the relationship of fiction and faction, the issue of death in trauma, the destructiveness and creativity of memory, and many more. Most importantly, however, Novak’s text shows us how we exist in the world and in the language, and also how literature and literary criticism emerge – because what the novel is about is not as shocking as what the novel says about us. I must therefore say that this is one of the few texts of contemporary Croatian literature that is literally fascinating, and stop at this. Črna mati zemla is a book that discovers a new, different and quite narratively competent name on the domestic literary scene. It is a novel that contains and combines different and important layers that are relevant to the contemporary Croatian prose, although approached and elaborated from completely different starting points. Novak’s hero Matija must ultimately come to terms with himself and his fear that all people he loves will be dead, as well as with his unfortunate homeland, while the reader will understand that no private horror can be bigger than the one we try to suppress to personal or collective amnesia and into the hallways of our subconscious.